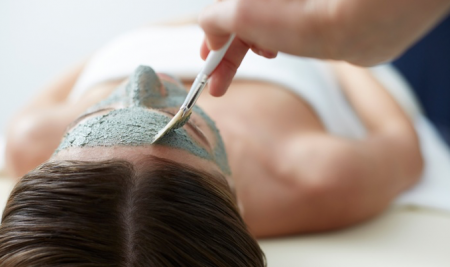 Each one-hour facial includes steam and hot towels followed by exfoliation, extraction, massage, and a mask. Promotional value expires 90 days after purchase. Amount paid never expires. Package of 3 facials must be used within 4 months of initial visit. Appointment required. Limit 1 per person, may buy 2 additional as gift(s). Limit 1 per visit. New customers only. Not valid toward taxes or gratuity. Valid only for option purchased. All goods or services must be used by the same person. Merchant is solely responsible to purchasers for the care and quality of the advertised goods and services. When clients arrive at La Jolie Spa, they feel as though it exists just for them—and that’s because it does. The spa only serves one customer at a time, making the space a personal oasis of calm, quiet, and pampering. In that oasis, trained skincare specialists use French products during services such as luxury foot and hand care, makeup applications, waxing, facials, and laser hair removal. Brow tinting, threading, and massage round out the list of personalized treatments.